These divrei Torah were adapted from the hashkafa portion of Rabbi Yissocher Frand’s Commuter Chavrusah Tapes on the weekly portion: CD #934 – Kohanim Face The Nation. Good Shabbos! In fact, even that did not help. In the final analysis, Chazal say that Moshe could not even figure out how construct the Menorah after he saw the diagram of fire. Ultimately, G-d told Moshe to take an ingot of gold and throw it into the fire. Miraculously, the finished Menorah came out. There is an interesting Baal HaTurim on the pasuk “See and construct…” The Baal HaTurim writes that there are only three times in all of Tanach that Scripture begins a pasuk with the word “u’Reeh” [and see]. They are (1) this pasuk here; (2) “And see if I have a vexing way; and lead me in the way of eternity.” [Tehillim 139:24]; and (3) “And may you see children born to your children, peace upon Israel.” [Tehillim 128:6]. That is the end of the terse comment of the Baal HaTurim. The obvious question is what is the common denominator between these three pesukim? Two out of the three pesukim clearly have a common theme: “And may you see children born to your children, peace upon Israel” is speaking about children. The pasuk “And see if I have a vexing way…” (u’re’ay im derech otzev bi…) is also speaking about children because the word otzev is a word that is associated with the concept of tzaar geedul banim [the pain involved in raising children]. This is because when the Almighty cursed Chava, He told her “b’etzev teldee banim” [with pain you will give birth to children]. Chazal say that this refers to the punishment of tzaar geedul banim. Anyone who has ever raised a child knows exactly what the pain of tzaar geedul banim is. But the mystery remains: What do all three pesukim brought down by the Baal HaTurim have in common? I once saw in a sefer that if in fact — as Chazal say — Moshe Rabbeinu was ultimately incapable of constructing the Menorah on his own and the Almighty needed cause the Menorah to emerge miraculously, then why was it necessary for G-d to go through the previous nine pesukim providing elaborate detail of the design of the Menorah? 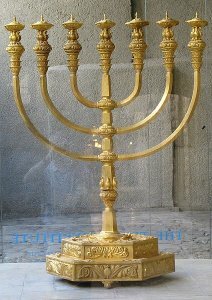 Moshe was not going to be able to make the Menorah anyhow, so skip the description and go straight to the miraculous creation of the Menorah! Furthermore, what was the point of the “fiery diagram?” That also did not work. What was going on here with this whole charade? The answer is that the Ribono shel Olam is teaching us a lesson: Even when something is impossible to do on our own, it is necessary to know at the outset what our eventual goal is. We need to have in mind from the beginning what we want the product to be. Once we know what the final product should be, despite the fact that we may be personally incapable of implementing it on our own and we need Siyata d’Shmaya from the Ribono shel Olam — we have the possibility of success. Knowing what we are striving for and having that final image in mind are essential for every endeavor, even those that we only accomplish through Divine Assistance. In business, they call this a “business plan.” If someone wants to start a successful enterprise, he needs a “business plan” to direct him. Many businesses do not meet the expectations of their business plans. The world is full of those situations. However, the plan, the goal, the image of what is going to be at the end of the day is essential, even if ultimately we are relying on great Siyata d’Shmaya. This, then, is the connection between the “u’Re’eh v’aseh” of the Menorah, the “u’Ree’eh banim l’banech“, and “u’Re’eh im derech otzev bi“. Raising children is the activity in which we need more Siyata d’Shmaya than any other human activity. A person can be the wisest and most successful person in the world but raising children is its own chapter entirely. It is impossible to be successful at it without Help from Heaven. However, that does not mean that a person should throw up his hands in futility and say, “What is the use?” We must have the mindset and the image of what we eventually want to see from our children. 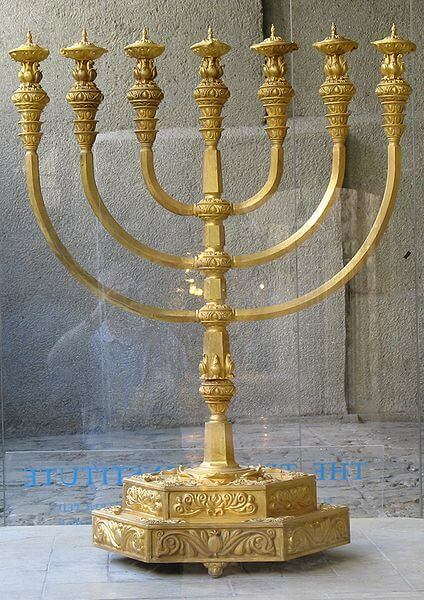 This is the lesson of the Menorah. At the end, it only happened through direct Siyata d’Shmaya, but first Moshe Rabbeinu needed to have a concept of what it is that he was trying to accomplish, what it is that he wanted. That is the way it is with children. We need unlimited Siyata d’Shmaya. We need to pray every day that we should have success with our children. However, we also need to know the goal of what we would like to see our children become and accomplish. CD #272 Chazakah B’Mitzvos: Is This Maftir Yonah Mine? CD #362 The Mechitza-How High? CD #758 An Atara for a Talis? CD #846 A Pasul Sefer Torah – Where Should It Be Kept? CD #890 Shul Windows: An Open or Closed Case? CD #977 Remodeling A Shul: Is There A Problem? CD#1021 Should a Yahrzeit Make His Own Minyan in Shul to Get the Amud? CD#1065 The Breakaway Minyan – Permitted or Not? CD#1151 Shul Shortcuts – Does Saying A Pasuk Really Help?